You have just had your Newton Heath, M40-based property refurbished? Now, it is time for cleaning up the mess the builders have left, right? If you are impatient to enjoy the conveniences of your renovated home or office, let us carry out the cleaning on your behalf. The after builders cleaning service we offer enables you to move into your house in just a few hours. Windows, leftovers from the building work, ceilings, tiles, switches, sockets – every nook and cranny will be dealt with. Let our cleaners be your trustworthy assistants and you will not regret choosing them. 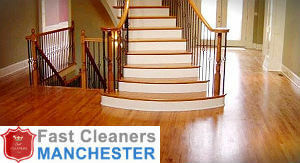 We offer a complete range of after builders cleaning services for both homes and offices based in Newton Heath, M40. If you are impatient to make your renovated property ready to move in, all you need to do is to contact us, request a free quote and schedule a service. If you find it hard to get rid of the dirt the building crew left behind, don’t hesitate to contact us and request our assistance. We are a company, providing the Newton Heath, M40 residents with a wide array of professional cleaning services including after builders cleaning. Our after builders cleaning teams are available seven days a week and their professionalism, efficiency and attention to the smallest detail have been appreciated by our current customers. Contact us now and get additional information about the service itself and the availability of the cleaning teams in your area. You can rest assured that the service will be delivered at the most convenient to you day and time. To be able to use your converted loft or basement, refurbished rooms and new constructions you should provide suitable cleaning of them. We can make your rooms rid of the mess, stains, dust, plaster, cement and building leftovers easily. By hiring the professional cleaners in our company you will get comprehensive and affordable after builders cleaning which we offer in Newton Heath, M40. Use our proven cleaning services which are implement in line with the health and safety regulations. Our staff inspect the area and bring the necessary tools and preparations for cleaning it. 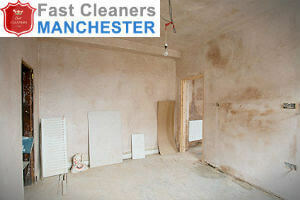 They carry out removal of dust, paint splatters, cement, plaster, glue and markings.